“Two bits, four bits, six bits, a dollar, all for our team, stand up and holler.” Remember that catchy cheer from your junior high football days? Did you ever wonder what it meant? How about the phrase “a little bit?” Both are references to a form of money used in the 19th century. Bartering was a commonly accepted way of exchanging goods and services in the West for many decades. Trappers swapped pelts for necessities like tobacco, clothing, ammunition, and food. Indians traded for anything from jewelry and cooking pots to slaves and horses. Early settlers often had little cash and also bartered for food, clothing, and goods. Two of the most traded items in the West were eggs and milk. Handling money must have been a headache for early 19th century businessmen. Coins in circulation throughout the U.S. included Russian kopecks, Dutch rix-dollars, and French and English coins. The Spanish real was commonly used throughout the United States in the early to mid 19th century and was known as a “bit” in the West and worth 12 ½ cents. Two bits later became known as a quarter. The half-bit, also known as the fip, picayune, or medio was worth 6 ¼ cents and used mostly in Louisiana. Other commonly used coins were an “eagle,” a gold coin worth $10. It had a Liberty head with a coronet on the front and a heraldic eagle on the back. The “double eagle” equaled $20 in value and had the same design as the “eagle” except the word “twenty” was embossed on the side with the eagle design. The “half eagle” was worth $5 and the “quarter eagle” equal to $2.50. The silver dollar, known as the trade dollar, was also widely used. “In God We Trust” was added in 1872. The “slug,” a $50 gold piece, was used mainly in California, but also circulated in the rest of the United States. During the 1850s, a Liberty head gold dollar became readily available. Prior to 1861, all paper money was issued by private or State Banks, often with little funding available. The notes could be redeemed for coin at the above-board banks, but notes issued by dishonest banks, called Wildcat banks, were worth little or nothing. In 1863, National Bank notes replaced State notes. Needless to say, there were countless other coins and paper money printed, but this will give you a basic understanding of money used in the Old West. 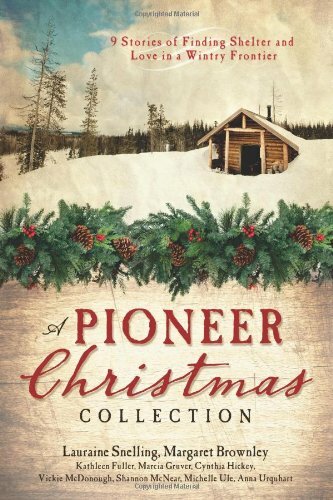 Pioneer Christmas Collection--Journey along with American settlers who learn that despite where the trail takes them or how primitive their lodgings may be, Christmas is all about the heart. Determined to honor Christ's birth, these pioneers find a way to make Christmas happen in places like a cave, a tipi, and a dugout. Modern readers will enjoy a peek into life before commercialism took over the sacred day, distracting us from the true blessings of faith, hope, and love. Enjoy nine original novellas of Christmas romance as penned from many of today's leading Christian authors, including Lauraine Snelling, Margaret Brownley, Kathleen Fuller, and Vickie McDonough. 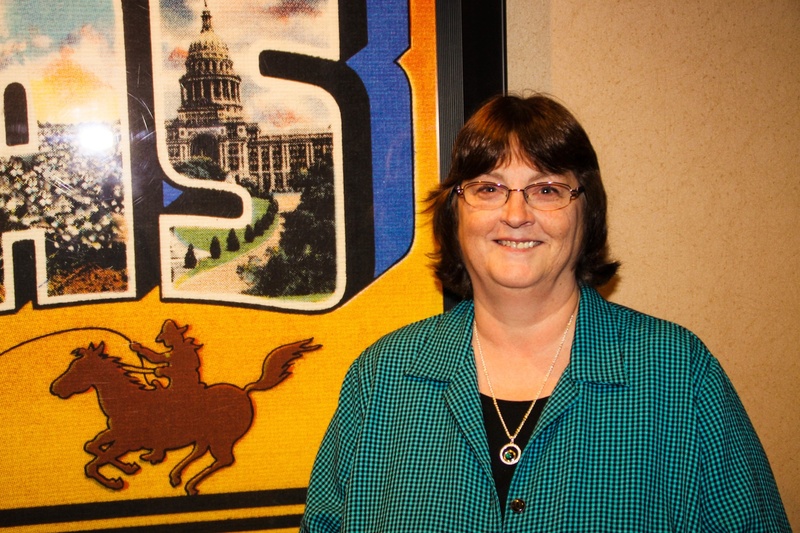 Vickie McDonough is an award-winning author of 28 books and novellas. Her novels include the fun and feisty Texas Boardinghouse Brides series and the 3rd & 6th books in the Texas Trails series. Her novel, Long Trail Home, won the Inspirational category of the 2012 Booksellers’ Best Awards. Whispers on the Prairie, the first book in an exciting new series set in 1870s Kansas released in July and is a Romantic Times Recommended Read. Loved this post on money! Sometimes people have a hard time counting back change now. Could you imagine with all the different kinds of money, trying to do that back then? Thanks for the great post! I am looking forward to reading Pioneer Christmas. A bunch of great authors in one place! So true, Sally. Dealing with money must have been a big headache when there were so many different types available. I understand now why bartering was so appealing. I have not thought much about the beginning of monies but interesting post to learn a little, I have some old coins found in a storage shed we bought. I think I like the idea of the bartering system, I have heard that some are doing this today. thanks for your post looking forward to reading this Christmas story. Paula, What kind of coins did you find? That must have been a fun discovery. Vickie, This was a very interesting post about coins in early times, I have read so many novels where coins are mentioned but had no real knowledge of what that represented. This should be taught in history classes as so much information has been lost in early education. I am a firm believer history should be shared to our young people . Thank you. Love your books and looking forward to next one . Blessings. Thanks, Jackie! I think part of the problem with history classes is that young people don't yet appreciate history. I hated history classes when I was in school, and look what I do now--write historical fiction. My love for history didn't blossom until I already had nearly grown kids and was aging. I'd give anything to have picked my grandma's brain about her life before she died. She was born in 1876. So very interesting, thank you for sharing. Thanks for visiting CFHS, Melanie! Thank you for the explanation and imagery of the money of the Old West. I love learning these fascinating bits of history! Me too, Britney. It's interesting stuff! This is fascinating. My great-grandmother's wedding band was made from a $20 gold piece back in 1865. Didn't even think about how much money that might have been at that time. The ring is still in our family. My cousin was nick-named Two-Bits when he was a toddler because his daddy said in jest, "Oh he's worth about two-bits or a quarter." He's in his 70's now and we still call him "Two" and that's the way he signs his emails to family members. Interesting! I wonder why they used fraction amounts? Were goods sold that would cost something in a fraction amount, like a pound of flour for 6 1/4 cents or something? The Spanish real, as Vickie said, was worth one-eighth of a SPANISH dollar. This was common currency in the days of exploration and the colonies. When Americans started making their own dollars, they modeled it on the Spanish system. I read once that people actually used to cut up Spanish dollars if they didn't have the right change, and one-eighth of a dollar coin was worth a real--or a "bit." When we started having American coins of smaller value, we didn't do a one-eighth coin, but we did a one-tenth coin (dime) and also a quarter and half-dollar. And pennies, of course. The nickel came much later, in 1866. Before that, the 5-cent coin was called a half dime.